Indian actress Aishwarya Rai Bachchan was on Monday appointed as the new international Goodwill Ambassador for UNAIDS, the joint UN programme on AIDS and HIV. The announcement was made at the UN headquarters here by UNAIDS executive director Michel Sidibe on the sidelines of the 67th session of the UN General Assembly. In her new role, she help raise awareness on issues related to stopping new HIV infections in children and advocate for increased access to anti-retroviral treatment. Aishwarya Rai Bachchan honoured to accept this appointment. Spreading awareness on health issues specially related to women and children has always been a priority forher and now as a new mother she can personally relate to this — the joys and concerns of every mother and the hopes that we have for our children. Aishwarya Rai main focus will be to advocate for the global plan towards the elimination of new HIV infections among children and keeping their mothers alive. This plan was launched at the UN in June 2011 and focuses on 22 countries including India, which account for more than 90% of all new HIV infections among children. She strongly believes that every baby should be born free from HIV. "She promise that with UNAIDS will do my utmost to make this happen. Through Aishwarya's global outreach is convinced that she will be able to help UNAIDS reach its goal of eliminating new HIV infections among children by 2015. UNAIDS, which is focused on working towards universal access to HIV treatment, prevention, care and support, said 34.2 million people were living with HIV in 2011. The new appointment will be one of Rai's first and most important associations with the United Nations. Last week, she had joined UN Secretary General Ban Ki-moon and renowned Hollywood actor Michael Douglas at a ceremony here to commemorate the International Day of Peace. She had also addressed a large group of students from varied backgrounds during a panel discussion on 'Sustainable Peace for a Sustainable Future. 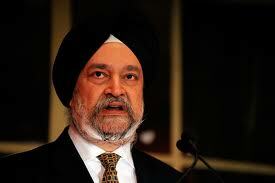 Later today, she would meet India's Permanent Representative to the UN Hardeep Singh Puri. Bachchan's father-in-law Amitabh Bachchan had served as the International Goodwill Ambassador for UNICEF.